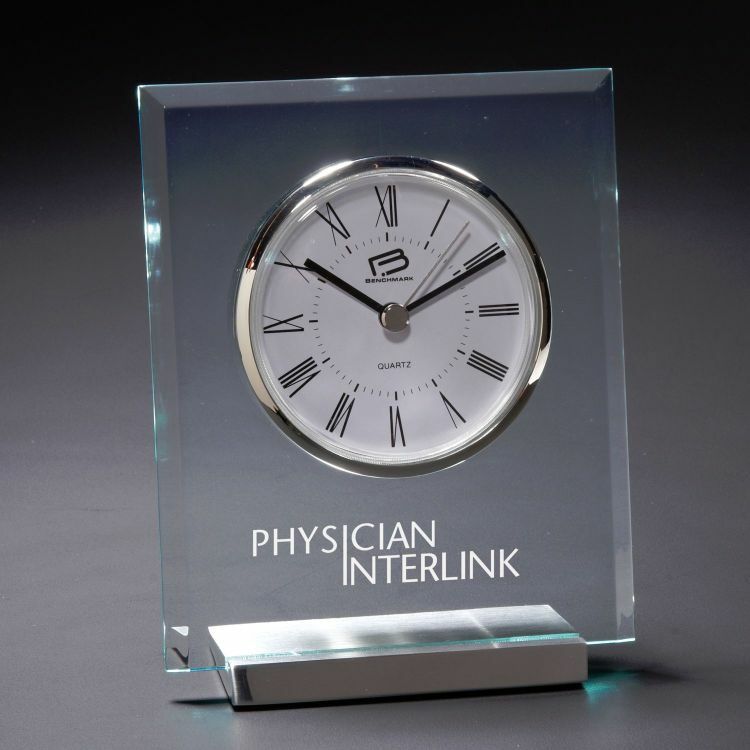 Showcasing an acrylic square design with contrasting round dial, this timepiece is accented with silver metal findings and is offered at a great price. 4.75" x 6" x 2"
Product Line: Clocks By Benchmark. On most items your price includes your choice of a lasered imprint or a screened, one color imprint in one location. Imprint Dimensions: 3.5" x 1". PLEASE NOTE - EXCEPTION TO THE ABOVE: This item is available with a lasered imprint only. Additional imprint color charge: $3 (GGGG).